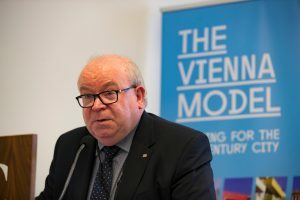 The pioneering Vienna Model of Housing will be the subject of a month long exhibition, taking place from Monday 1st to Thursday 25th April across three Dublin venues. The public exhibition is a joint partnership between the Dublin City Council, Housing Agency, City of Vienna and will feature a number of seminars and events to introduce a wider debate on housing futures in Dublin and nationally. Exhibiting in CHQ in Dublin’s Docklands, The Rediscovery Centre, Ballymun, and Richmond Barracks in Inchicore, the Vienna Model of Housing is internationally regarded for its continued achievement of sustainable, high quality residential development using a cost-rental approach that in effect delivers housing for all. The model adopts a general needs approach to housing provision and delivers secure, long-term, high-quality and innovative public rental housing in well designed, adaptable and inclusive neighbourhoods. Identified as a significant component within the Viennese Model, cost-rental works to achieve sustainable prices, disrupting the link between price and market values and moderating the boom-bust cycle. This is credited with helping to create housing at a cost that people can afford. 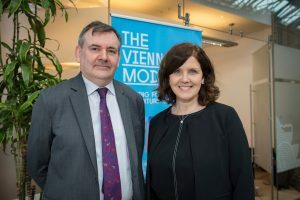 The Vienna Model of Housing Exhibition is open to the public and will be hosted in CHQ in Dublin’s Docklands from 1st to 7th April, The Rediscovery Centre in Ballymun from 10th to 13th April and Richmond Barracks from 15th to 25th April. Free seminars and free children’s workshops will take place across all venues. Register for seminars and workshops online at www.HousingModelDublin.ie.